Destiny, Houdini, and Magic would like to help you in wishing that special someone in your life a Happy Valentine's Day! Purchase your card(s) today for $10 ea. 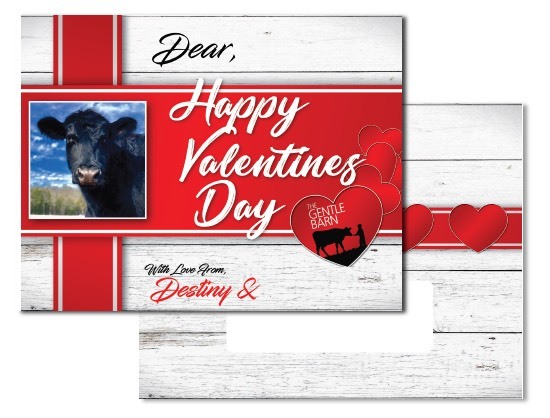 and we will personalize each card with your name and their address, postmarked & shipped on your behalf to arrive just before Valentines.